Airport-hotel expert Edward Snowden, apparently getting sick of the transit lounge at Moscow’s Sheremetyevo International, has applied for asylum with fifteen different countries, the L.A. Times reports, and is starting to look thirsty to potential international suitors. “It was a desperate measure on his part after Ecuador disavowed his political protection credentials,” said a Russian official, which does not bode well for his chances there. But other Russian politicians are not opposed to the NSA leaker’s presence, with one telling the Times, “I believe that we should not give him away in any case. It seems to me that Snowden is the greatest pacifist. This person has done no less to win the Nobel Peace Prize than Barack Obama.” If nothing else, the country is getting a kick out of being a tease to everyone involved. 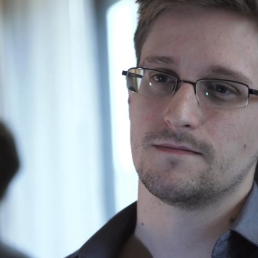 Is Snowden Hiding in a Moscow Airport Hotel?